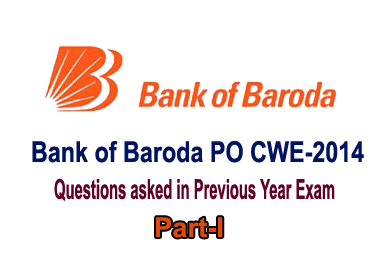 List of Questions asked in Previous Bank of Baroda PO-CWE. Candidates those who are preparing for banking exams can make use of it. 5. What is an Indian Depository Receipt? 19. What is Call Money? 20. Which is the first Indian company to be listed in NASDAQ? 21. Which of the following is the Regulator of the credit rating agencies in India? 22. Who is Brand Endorsing Personality of Bank of Baroda? 25. Which of the following statements(s) is/are True about the exports of China which is a close competitor of India? nations like the USA, etc. (ii) In the year 2007 China’s exports became almost 40% of its GDP. whereas India’s share is mere 6% of the global exports.